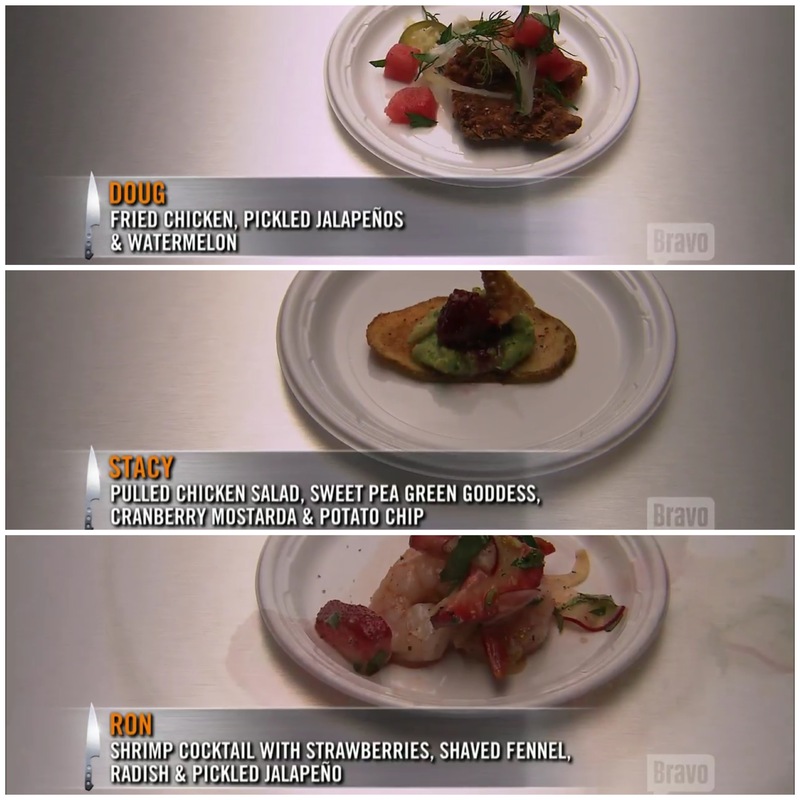 Top Chef Boston: Not Complex to Eat! The beautiful Padma Lakshmi and new judge/Top Chef alum Richard Blais welcome the new crop of cheftestants to Boston. The sixteen hopefuls include the likes of Mei Lin, sous chef at Top Chef superstar Michael Voltaggio’s Ink, George Pagonis, business partner to Top Chef alum Mike Isabella, and Stacy Cogswell, executive chef of the Regal Beagle right here in my home city of Boston! The relay is, of course, New England themed with the tasks being lobster, oysters, mackerel, and little neck clams. Yum! Blue team is out in front for the first three events, while yellow lags a bit. Blue loses its lead at clams, because Katsuji has literally no idea how to open them. It’s pretty painful to watch. Ron on yellow makes up a lot of time, Green takes the lead and finishes just before them. Blue gets their act together and slides into the third spot. Red is the last to finish, meaning it’s time for part 2: the slowest person on the team is up for elimination. The slowest is George, who also had trouble with clams. He is to pick any cheftestant to cook against head-to-head. If George wins, both stay. If George loses, he goes home. George picks Gregory, since he got the mackerel that George really wanted. Richard calls George’s dish elegant, but in need of heat. He warns Gregory of trying to do so much, seeing more opportunity to mess up when there are three dishes instead of just one. Gregory ends up winning, sending poor George home very early! I really feel bad for this guy. Blais said he put his heart on that plate, and mine is breaking for him. 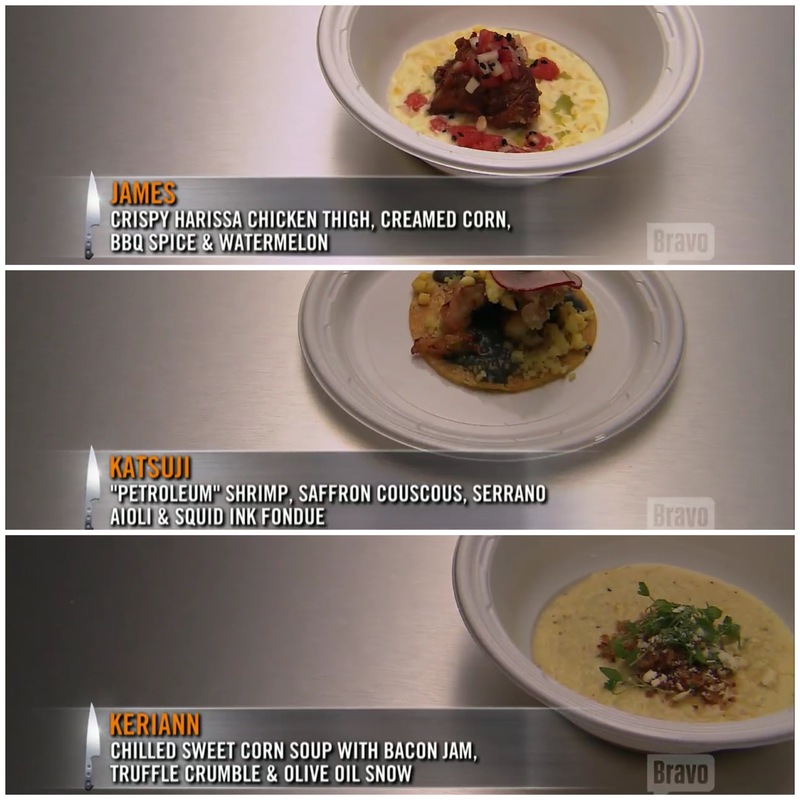 With one cheftestant down, the rest face the Elimination Challenge. Their challenge is to create an updated version of the first dish they remember cooking– a nod to Boston’s historic nature– for a Top Chef Food Festival at the Museum of Science. The next day, they get 3 hours to cook for 250 guests. Local legends like Barbara Lynch, Ming Tsai, and Top Chef alumni Kristen Kish and Tiffani Faison contribute to the atmospheric pressure. Tom, Gail, Richard, and Padma circulate trying the dishes. Marty Walsh (Boston’s Mayor) shows up mid-commercial break too, which is fun too. Gail liked Dougie’s (as he told her to call him) fried chicken. 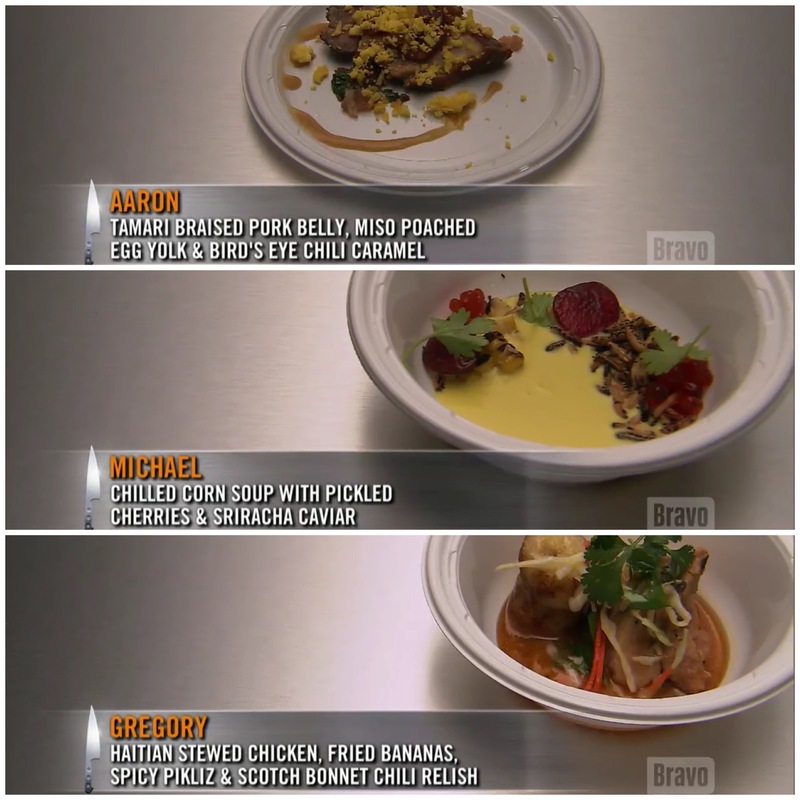 Gregory’s polarizing dish gets props too. Mei Lin’s is very well received by all. Katie’s gets flack for being a side dish. Michael’s is likened to fishy cereal. Padma mentions Aaron’s pork belly, which she had to spit out in front of him. Tom didn’t have a negative experience with it, so they let it go. Katsuji’s complexity is criticized as well— when Padma and Richard were by his station, they asked if it were complex flavors, or just complex to eat. In the stew room, Padma announces that they’d like to see all of them. Gail, Padma, Tom, and Richard sit at the judges’ table. Doug, Mei, and Gregory are called out by Padma—this is clearly the top three. Richard announces the winner: Mei! Padma then announces it’s time for the bad news: Katie, Michael, and Katsuji are called out. After comments, she announces Michael’s fate: please pack your knives and go. With two eliminations down in the first episode and a promo of what’s to come—Fenway Park, Plimouth Plantation, cranberry bogs, and George Wendt of my beloved Cheers— I cannot wait to see more! 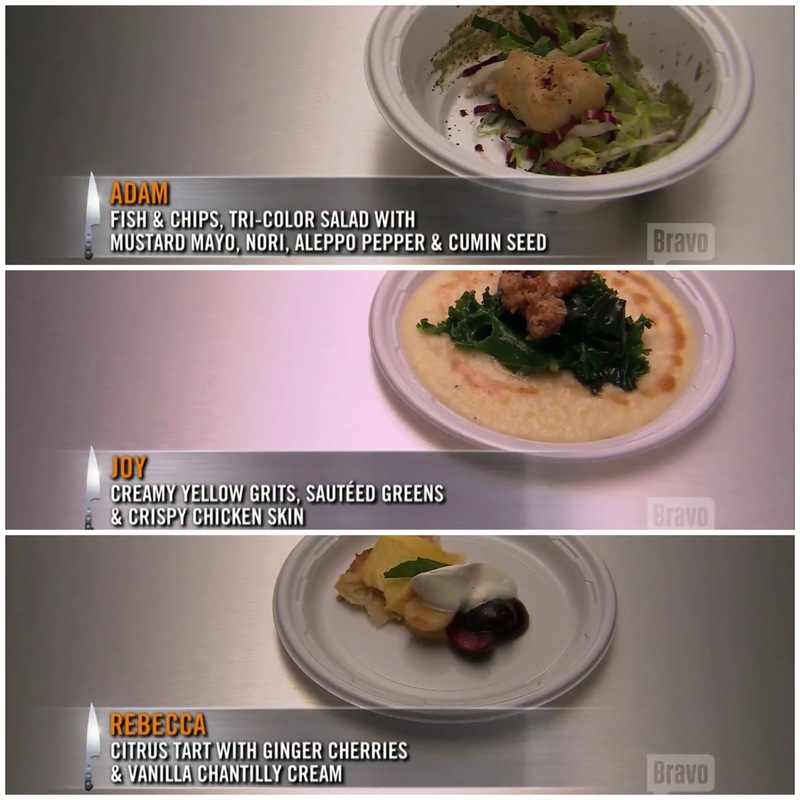 What did you guys think of the Top Chef Boston premiere? 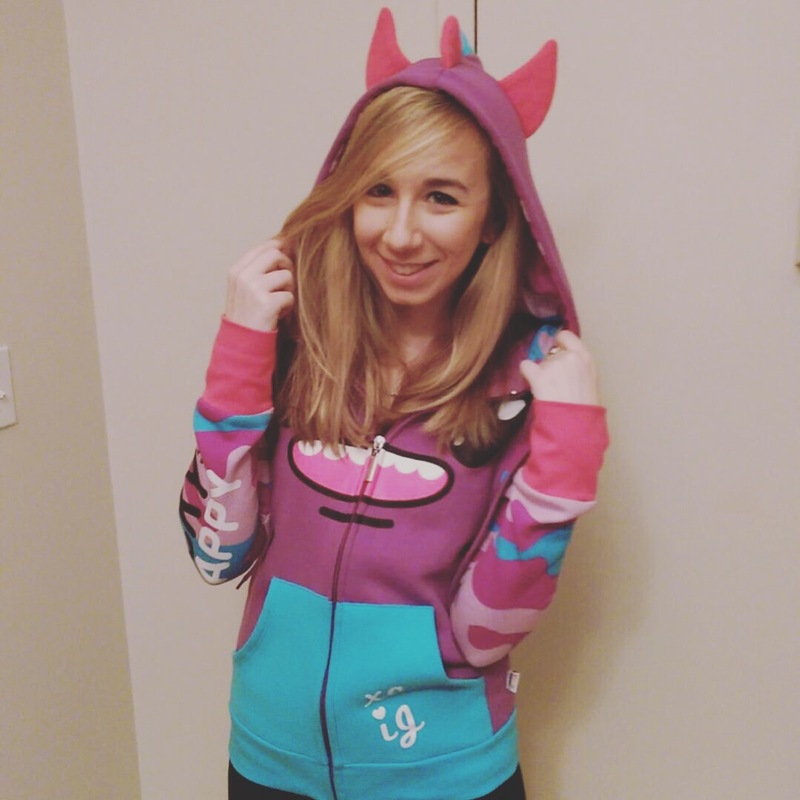 I have my eye on Mei Lin right now, but I’m cheering on my hometown hero Stacy! Any early favorites?